More often than not, when I glance outside to check on my daughter, she is either stirring up a dirt-infused smoothie for my enjoyment or collecting precious garden knick-knacks for on-going investigation. Whichever the task, one thing is certain, her work would be lost without the help of a trusty bucket. Parisian artist, Nathalie Lete takes the average bucket to new heights with her beautifully illustrated range, perfectly-sized for kids. 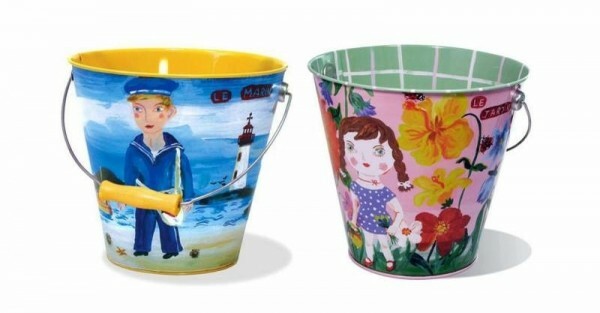 Nathalie Lete’s artwork is renowned for reflecting her fascination with travel and vintage toys, and the illustrations on her unique buckets are no exception. 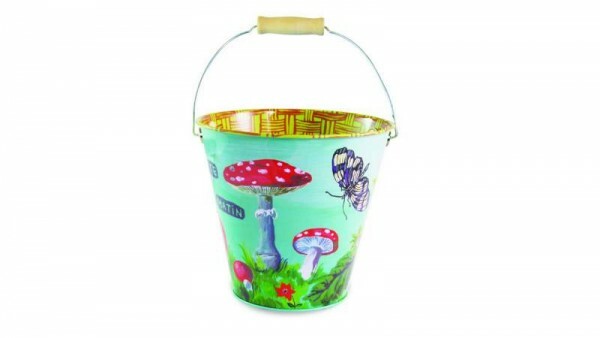 Colourful characters and nature-inspired scenes will inspire young imaginations, while the sturdy metal interior equips kids for collecting and concocting – by the bucket-load! Nathalie Lete Metal Buckets are available in three designs and can be purchased online for $25 at Corner Store.